Frame grabber to PictureBox, Bitmpa Handle, memory or clipboard. 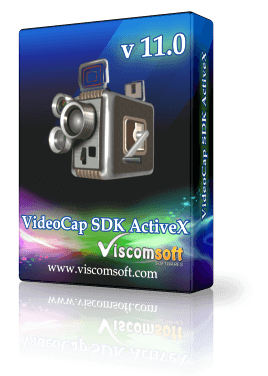 Add Picture in Picture effect or video mixing effect, Video Capture mixing image file or mixing four Video Capture devices in same time, Alpha blending (transparency) support for each video capture device/image. 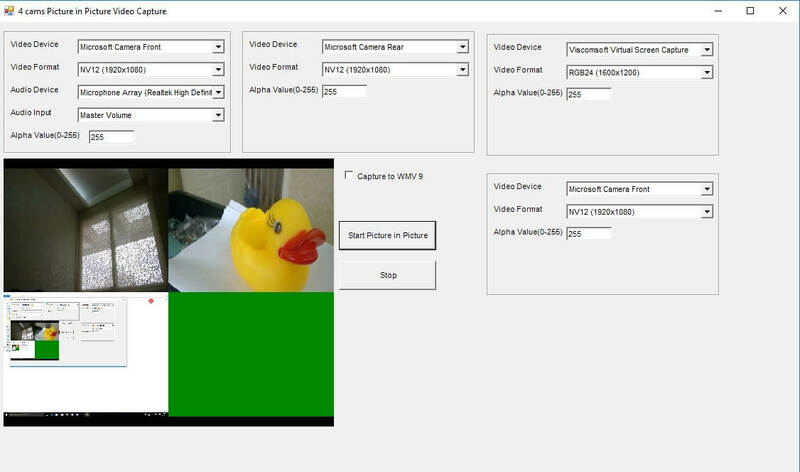 added Mp4GPUCodec property. When encoding to MP4 file with GPU Hardware Acceleration.It support use NVIDA , AMD and Intel Core GPU technologies to output MP4 file. 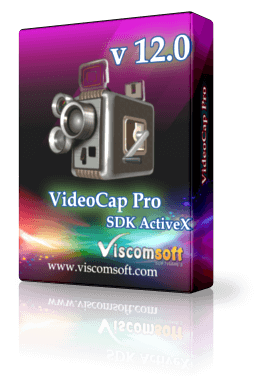 fixed selected Virtual Screen Capture device cannot capture to mp4 file issue. Restore CaptureAudio property feature same as version 9.0, it will not listen to the audio when preview, because when capturing to video, the customer may not like listen the audio from speaker. fixed crash issue and VB6 compile the project crash issue. added InitControl method, fixed some development tools (Agilent VEE Pro,it looks like labview) cannot initialize the control automatically. updated VB6, VB.NET 2010 , C# 2010 CaptureFileMP4Encoder samples. fixed C# 2015 IDE crash issue. added CustomVideoCard property. If VideoCap cannot preview your video device. 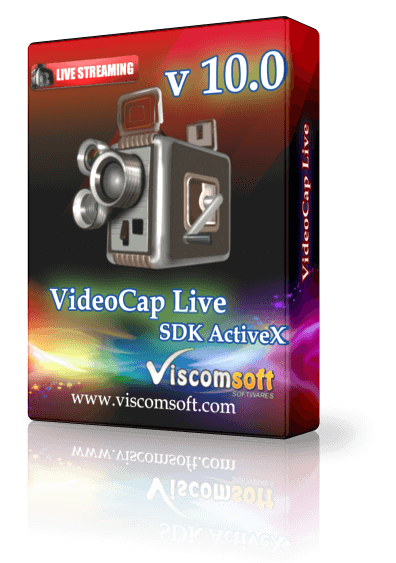 You may try Set the custom video card =true, it may let videocap support your video device. updated c# 2010 and vb.net 2010 sample. Fixed application crashes with a vshost32.exe error. fixed MS Access, VB crash issue. 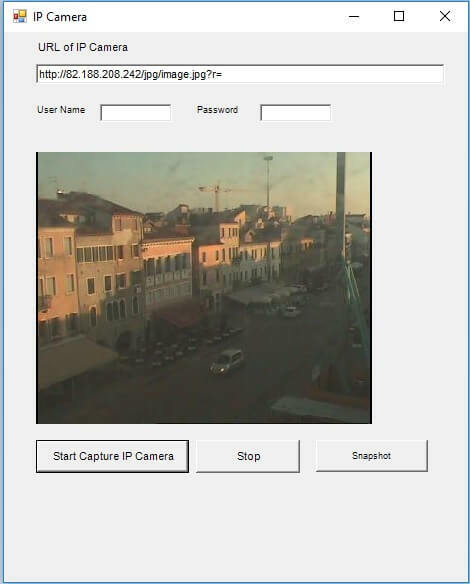 added PIPAddImage, PIPAddVideoDevice, PIPInitDisplayArea, PIPAddPIPEffect, PIPStart, PIPStop methods. 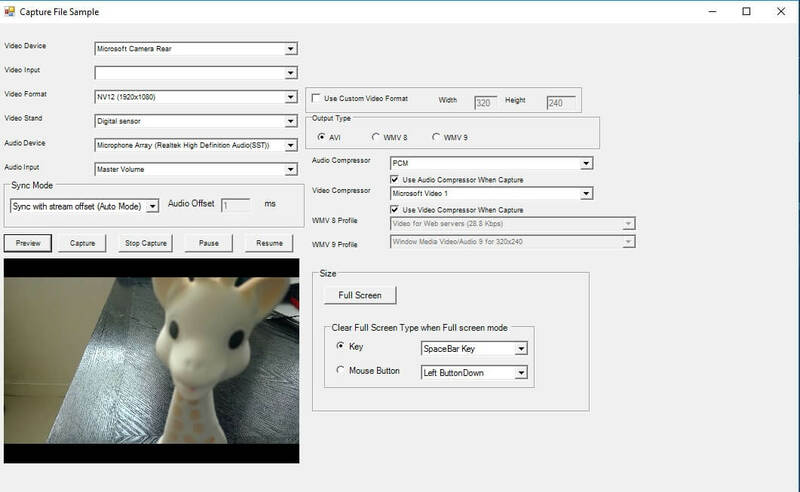 added ClearFullScreenKey, ClearFullScreenMouseButton, ClearFullScreenType, CustomVideoColorFormat, CustomVideoHeight, CustomVideoWidth, ReceivedFullScreenHWnd properties.